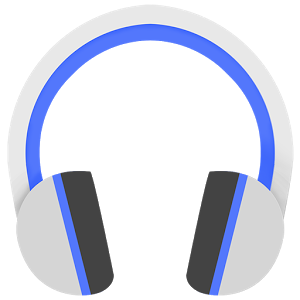 They aren't the best music players around, they probably lack certain features that you personally deem essential, and they certainly don't fulfill everyone's needs in a music player. 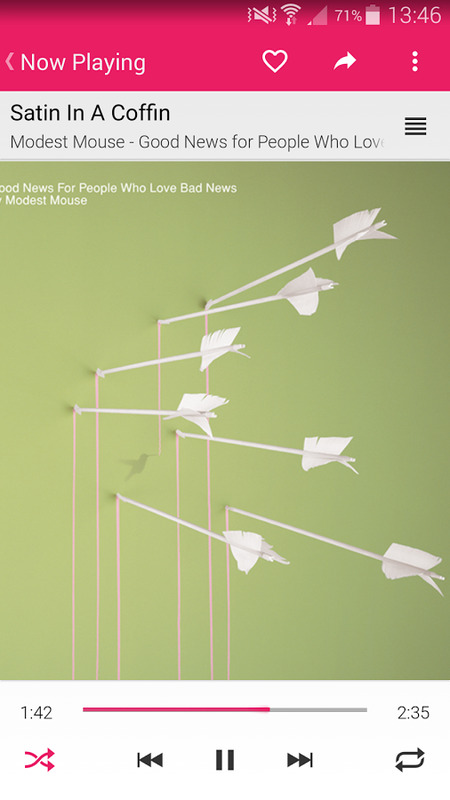 They might have been on your radar before or you might have never heard of them. What's important is that they try to bring a unique offering to the table, something that differentiates them from the herd and that warrants us stopping and taking a longer look. 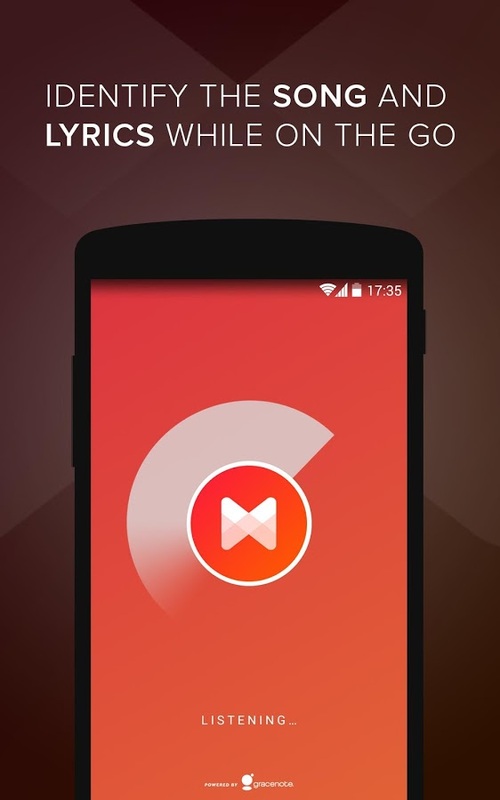 Besides suffering from a case of the cases (confusingly, Musixmatch, musixmatch, and musiXmatch are all used on the service's website), Musixmatch isn't the first name that comes to mind when you think of music players. 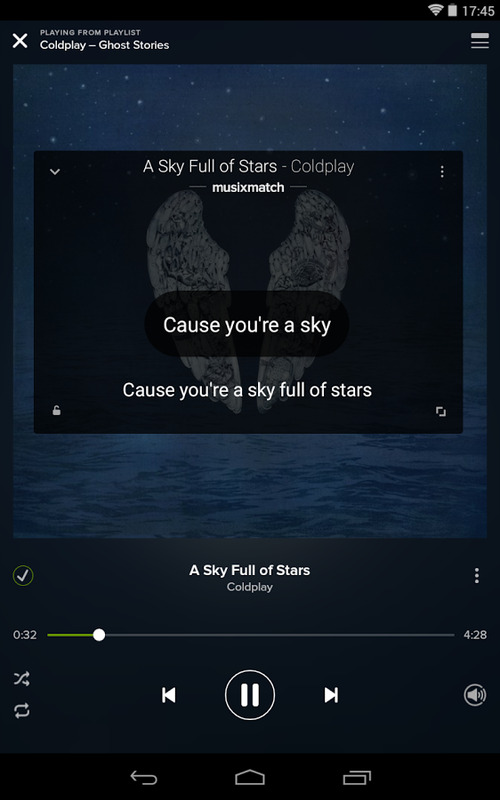 For a long time, the app was notorious for checking currently playing songs from other apps and matching the lyrics, but it has evolved and improved on its built-in player to a point where it could be used as a standalone music player. 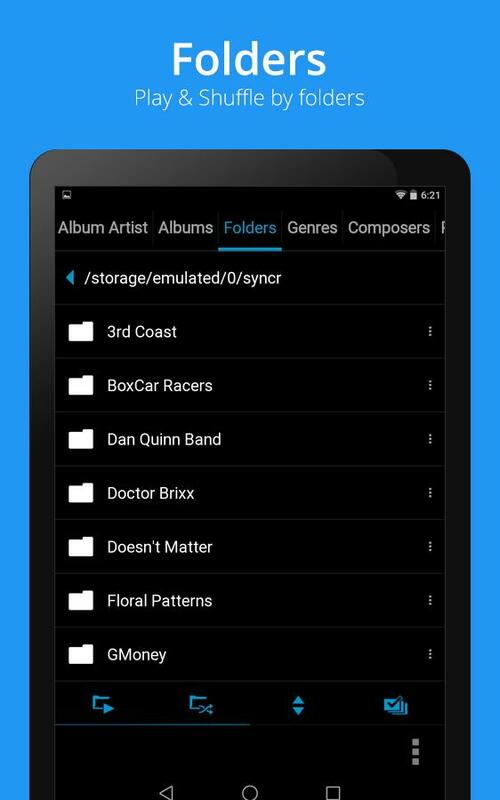 Musixmatch scans your internal and SD storage for locally stored songs and, like any other player, lets you browse them by albums, genres, artists, folders, tracks, and playlists. 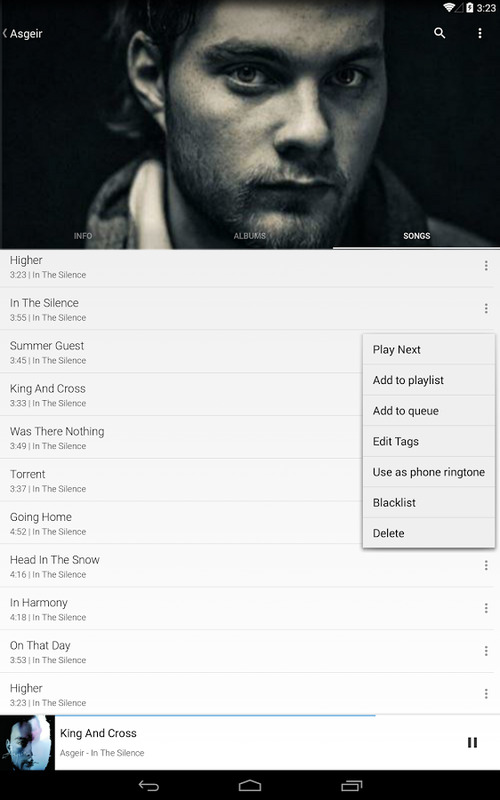 You can blacklist albums or songs, which comes in handy if you have some audiobooks or random audio files on your phone, set a sleep timer, edit the ID3 tag, and change the equalizer presets. Musixmatch also packs a few social features, like finding an artist's Twitter profile, their most popular albums and songs, and letting you share the currently playing song to Twitter, Facebook, Google+, and Instagram. 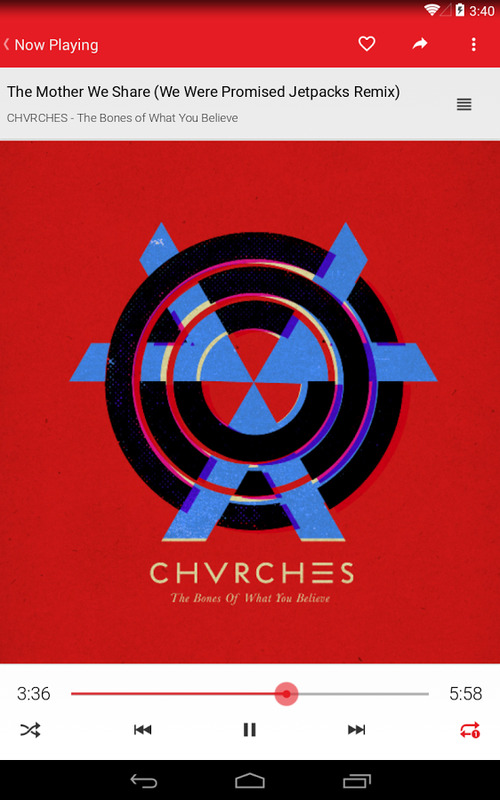 Where it differentiates itself is with its origins: lyrics. 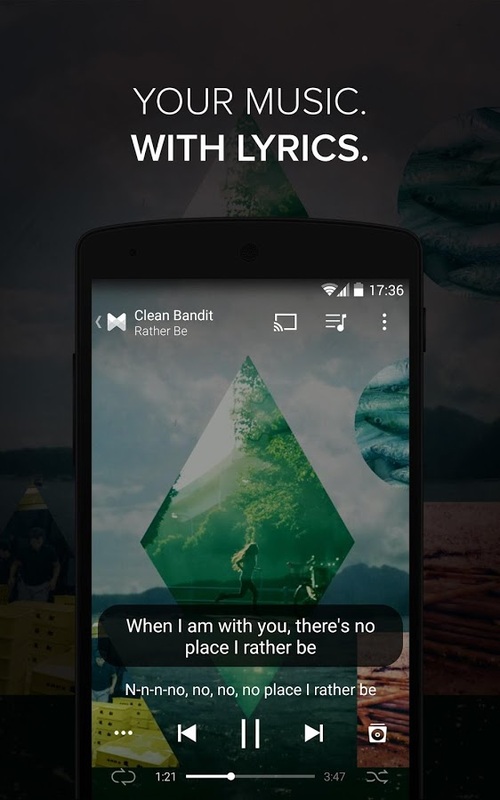 And lyrics are used everywhere and in every possible way in Musixmatch. 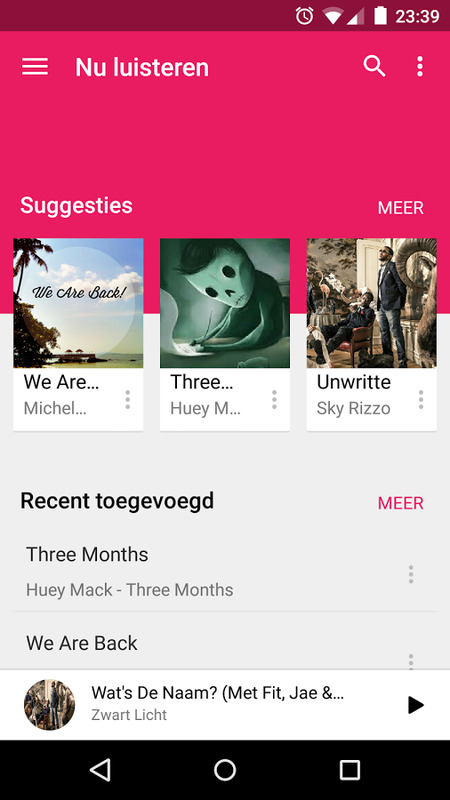 Obviously, you can manually search for any lyrics (even songs you don't have), and lyrics are automatically matched to any track in your library. 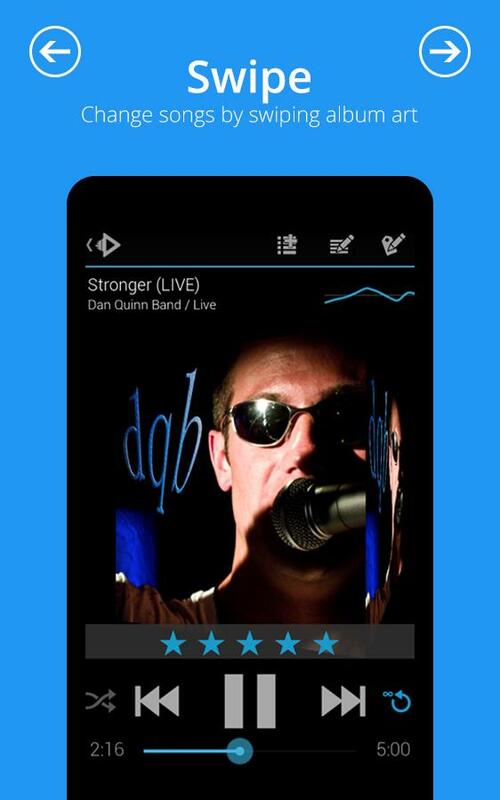 The kicker is in these lyrics' accurate timing: they display and scroll synchronously with the music, perfect for humming along or for the app's cool "Sing" feature that lowers the vocals volume and lets you test your Karaoke skills. 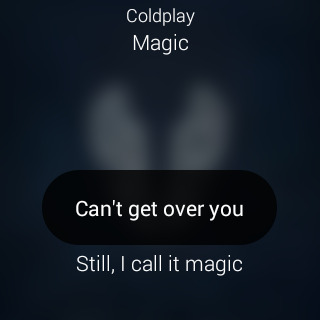 Additionally, MusicID, a Shazam/SoundHound alternative, identifies tracks being played next to you and overlays synchronized lyrics on the screen. 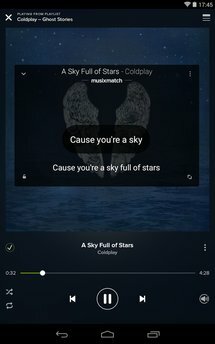 "Floating Lyrics," a transparent window, recognizes currently playing music from Spotify, Play Music, and other apps, and shows you the words to sing along to. 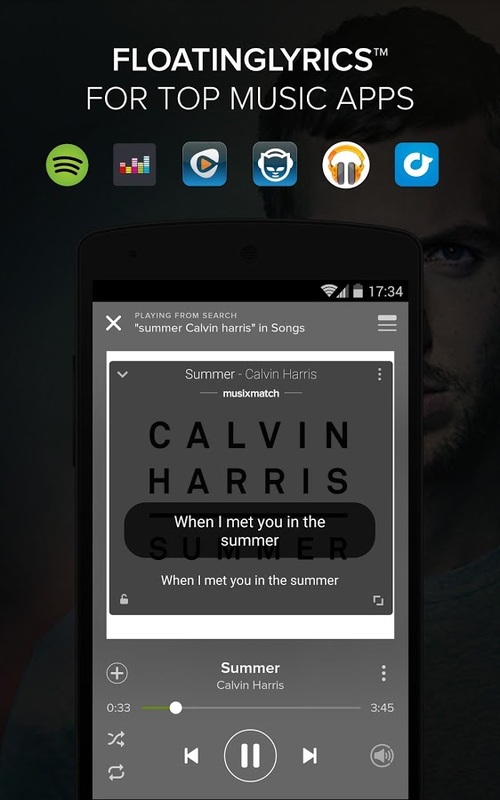 All of this comes with Android Wear and Chromecast support. 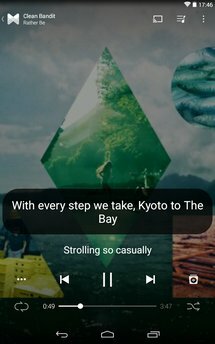 I couldn't explain to you how futuristic it is to glance at your watch and read a song's lyrics while you're listening to it. 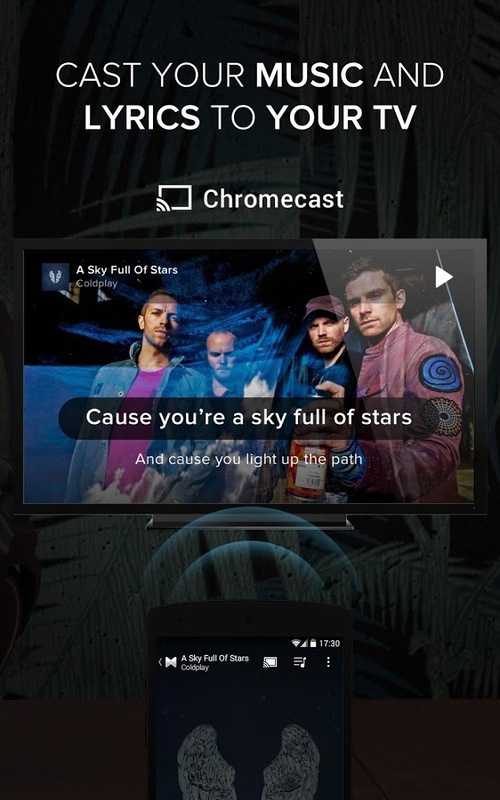 As for the Chromecast, it makes a perfect addition to your house parties — the audio is louder when played from your TV's speakers and the lyrics are there for everyone to read. 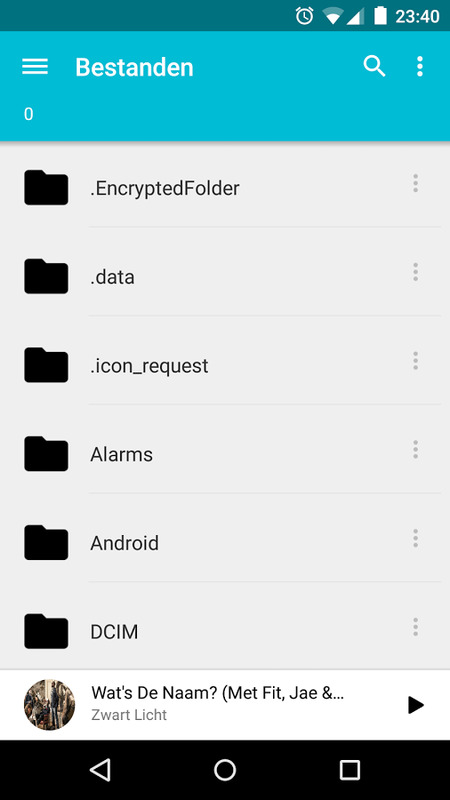 Holy ICS-batman! I know, I know. Put down your pitchforks, we're going to have a very uncomfortable chat now. 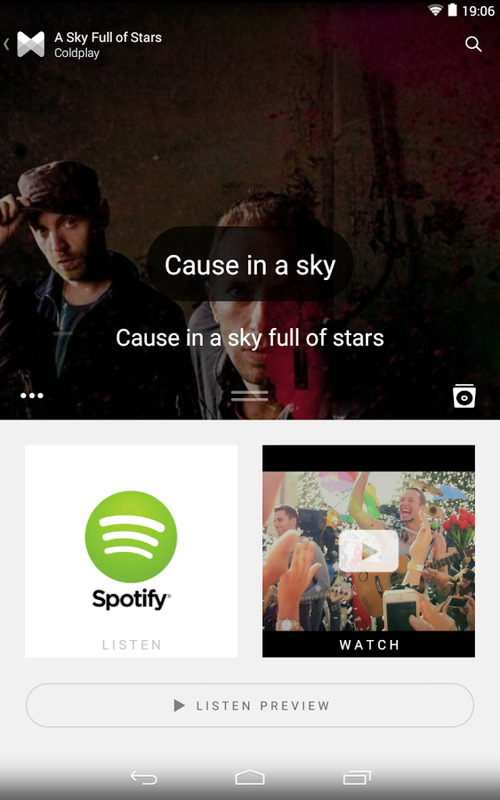 It's OK to use an app that looks (how do I phrase this without sounding errrr Materialistic?) dated. 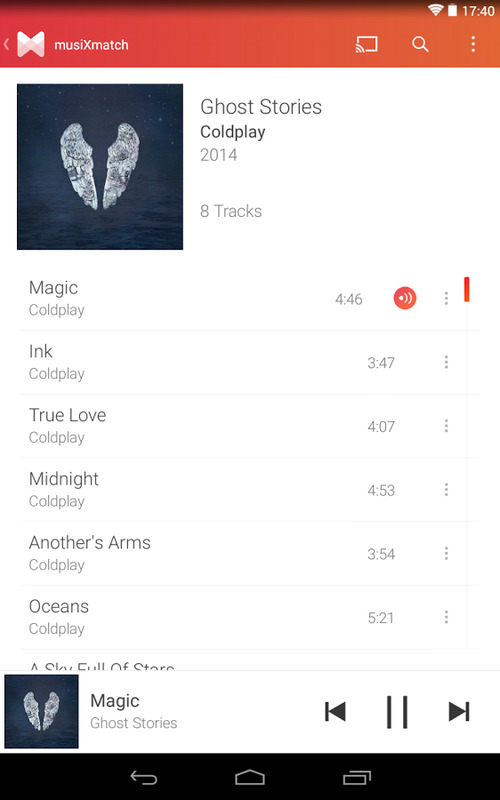 And it's OK to love Android and be a Mac and iTunes user as well. See? This is the kind of conversation we try to avoid — it's better for everyone if we don't mention Apple altogether. But I'll make this as brief as possible. 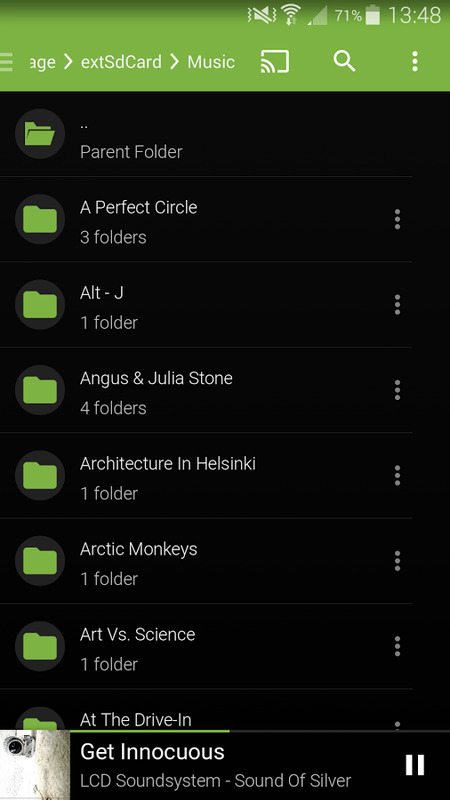 For a few years now, I have used iSyncr in conjunction with PlayerPro to sync my iTunes playlists to my Android phones (thanks to this tutorial), because it offered something that DoubleTwist didn't: syncing metadata back from the phone to iTunes. 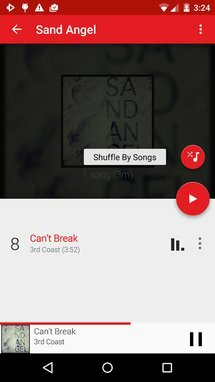 I have recently decided to check out Rocket Player, JRT Studio's (the makers of iSyncr) own player and it seems to work even better than PlayerPro did — at the very least, it doesn't feel stuck in the Gingerbread era. So what's this charlatanism I speak of? If you use iSyncr to wirelessly synchronize your playlists from iTunes to your Android device and Rocket Player to play said music (it's quite a capable one at that too), you will have as close to an iTunes/iOS device experience as possible. Ratings carry over from your computer to your phone and any changes made on the latter will be sent back to iTunes. Lyrics embedded in a track on iTunes will display properly on your phone. Play counts are tallied across both, with iTunes showing the total, and the last played time being accurate regardless of which device you listened from. And best of all, you don't have to do anything for that magic to happen. 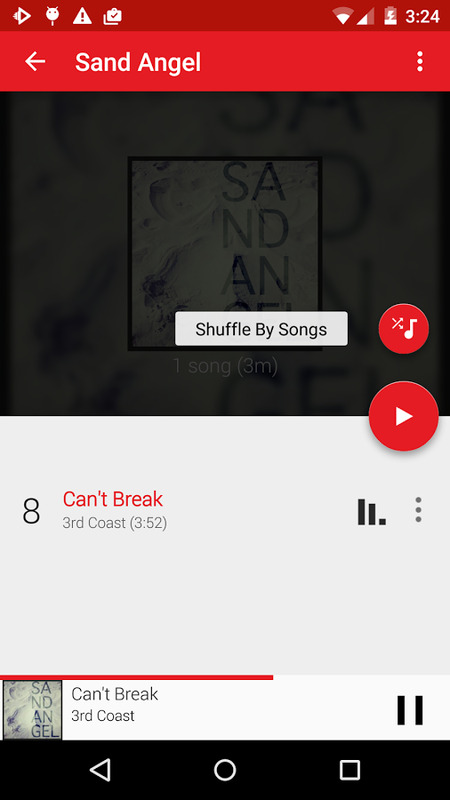 For any music aficionado who had spent years perfecting their iTunes smart playlists using play counts, ratings, and other criteria, this bundle of ICS joy in a music player is your savior on Android. 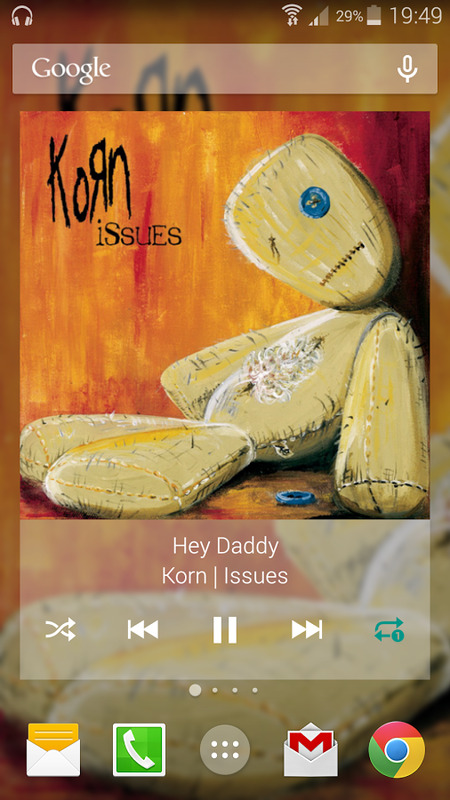 Now that I've convinced you, I'll let you in on a secret. There's hope for Rocket Player. 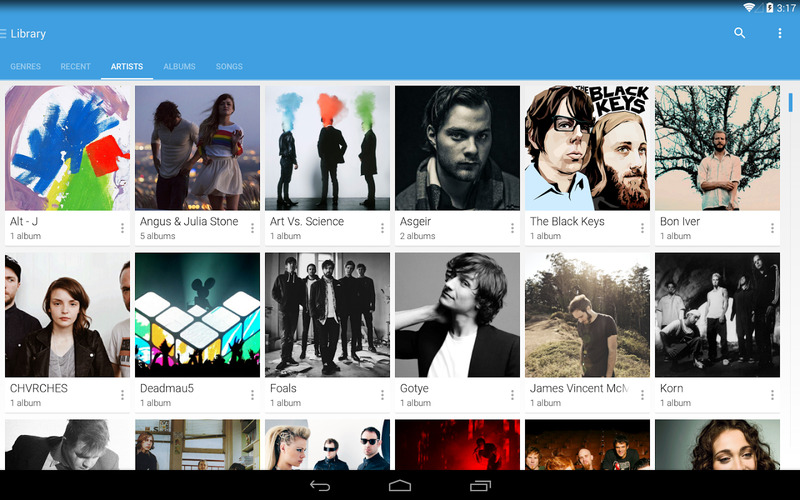 A Google+ Beta Community will open the doors of Material blue (and red) heaven for you. We're talking new theme, new iconography, some animations, and a FAB. That takes Rocket Player from an app I barely tolerated because I had to, to something I actually enjoy using. Orpheus was the cool surprise of this roundup's research session. I was on a Play Store bender of search / similar / other people also installed trying to find music players I hadn't tried or heard of when I came across this one. The screenshots were promising so I downloaded it and gave it a go. I'm glad I did. 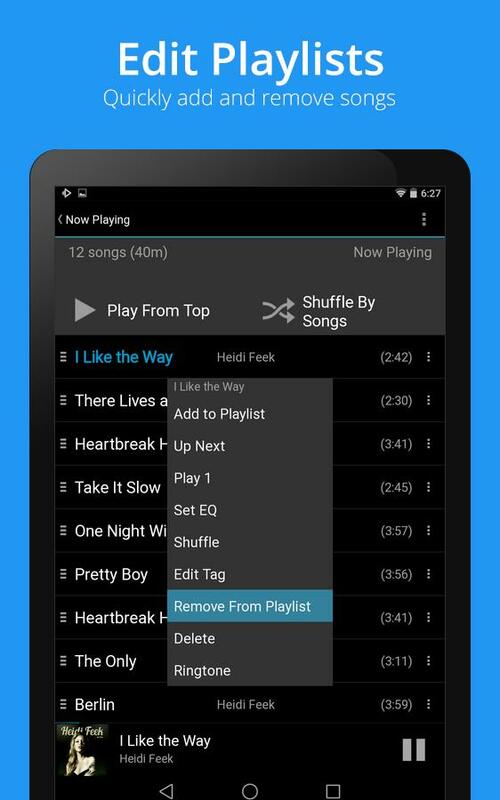 Orpheus is a free and open source player that takes some notes of Material Design, mixes them with what we're used to seeing in Apollo, Shuttle, or NexMusic, and injects its own cool features on top. It's still in beta, but the app has a lot to show for itself already. First of all, Orpheus is themable — there are 13 themes to choose from with varying combinations of primary and accent colors. 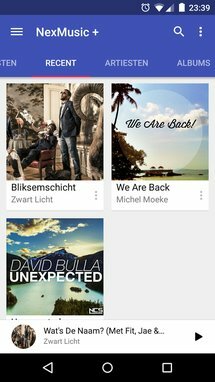 Second, it is expandable with plugins, and OpenSilk already has UPnP and Google Drive ones to let you listen to music from sources beyond your local storage, in case you get bored or you forgot to transfer your music. 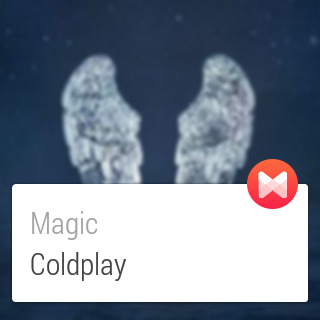 And third, the floating action button is configurable. This is cool. 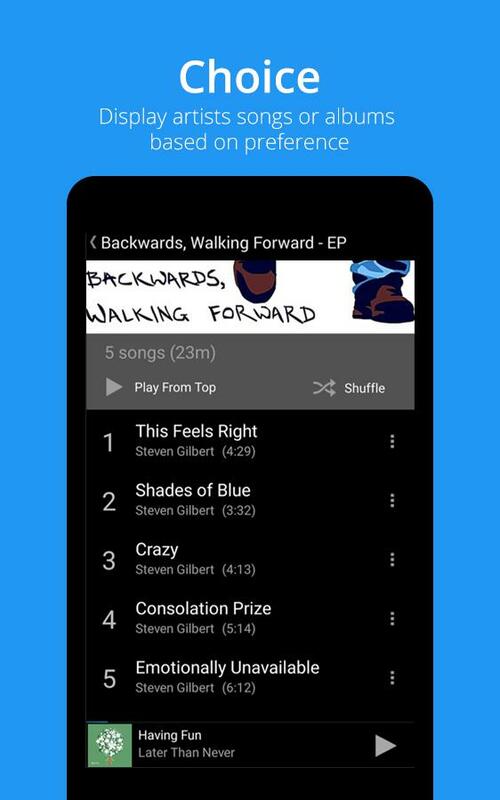 You can assign various actions to a tap, double tap, long tap, and fling, including play/pause, opening the Now Playing screen, or even triggering a cascade of FABs from it (previous, next, shuffle, and repeat). 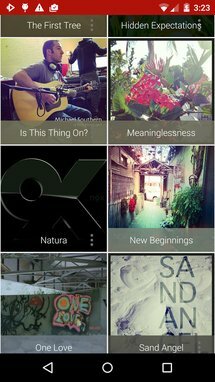 Orpheus comes packed with the usual music player features: grid and list layouts, automatic album art and artist image downloads, queue management, gapless playback, sleep timer, folder browsing, search, widgets, Daydream support, and more. 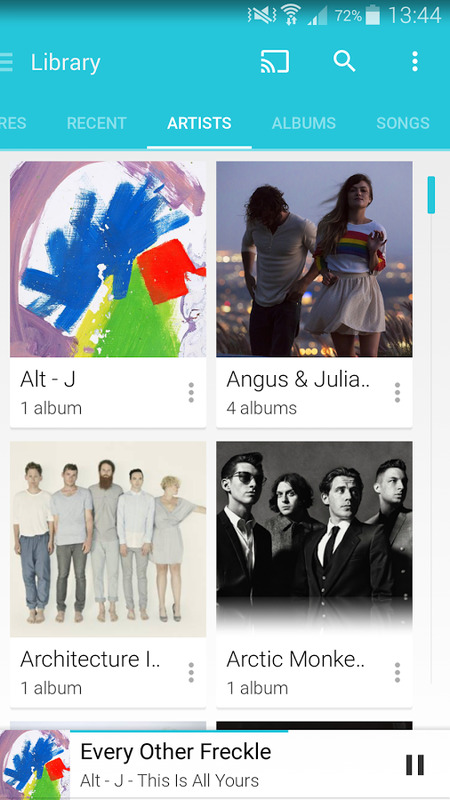 It also adds direct casting to the Chromecast, Muzei support to set the album art as a wallpaper, and a "Party Shuffle" shortcut that quickly launches a specified folder. 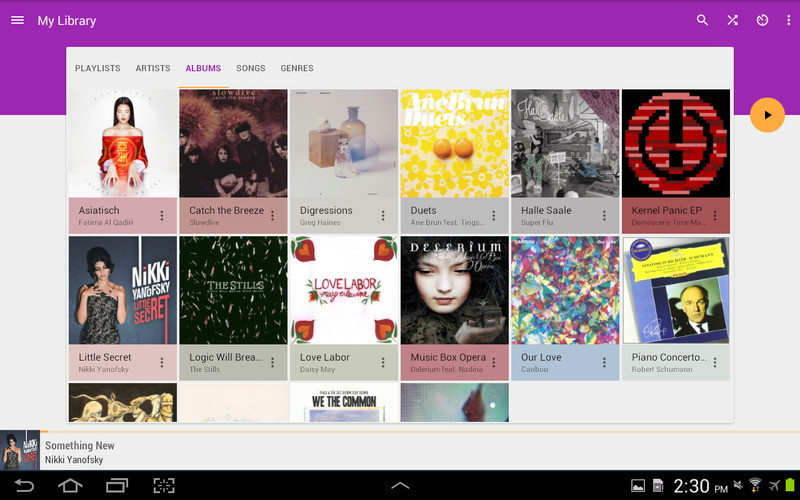 I, however, was immediately swayed by the option to browse corresponding albums after having selected a certain genre. 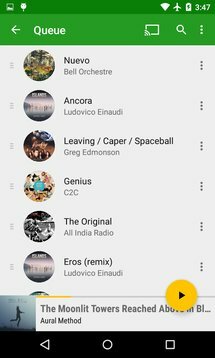 I couldn't tell you how often I pick a genre in other players and lament at the ridiculously long list of songs that ensues. 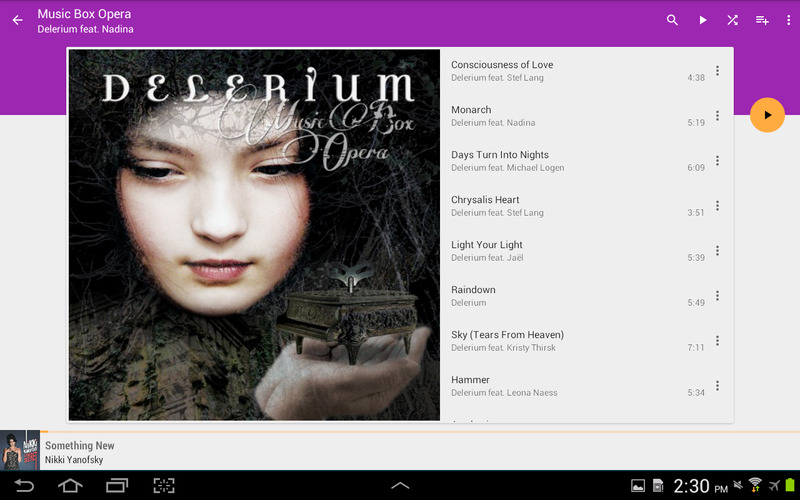 In Orpheus, once you pick a genre, you can either scroll through the tracks or, conveniently, the albums. Shuttle is the app that triggered this entire roundup. 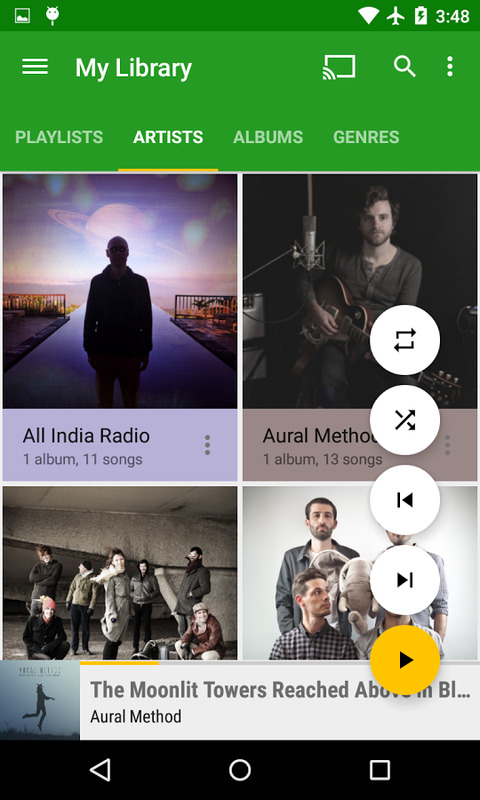 Upon seeing that it had Chromecast support, Artem started wondering if that was a unique feature of this app and tasked me with finding other differentiating factors in music players. 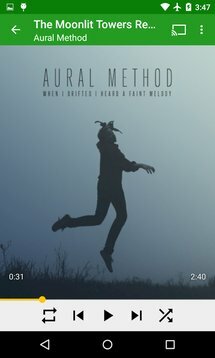 Turns out that casting isn't very unique to Shuttle — both Orpheus and Musixmatch offer it for free, while Shuttle wants you to buy the + version to get it. However, that doesn't mean that Shuttle didn't stay on our radar, mainly because of a rare combination of cool and useful features. 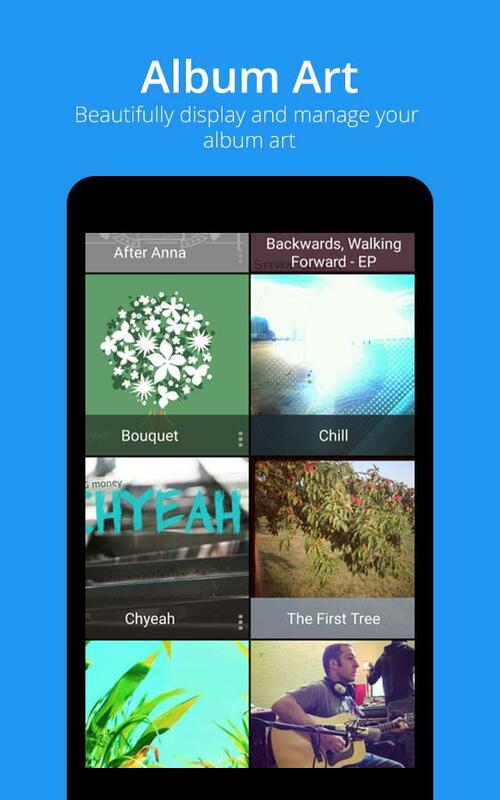 Shuttle doesn't try to reinvent the music playing wheel — it embraces it. 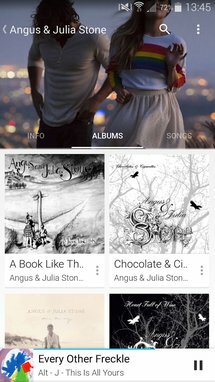 The familiar genres, artists, albums, and songs browsers are present, along with the now playing tab at the bottom of the screen. Like Play Music, this one supports gestures — swipe to the left to skip forward and to the right to go to the previous song. 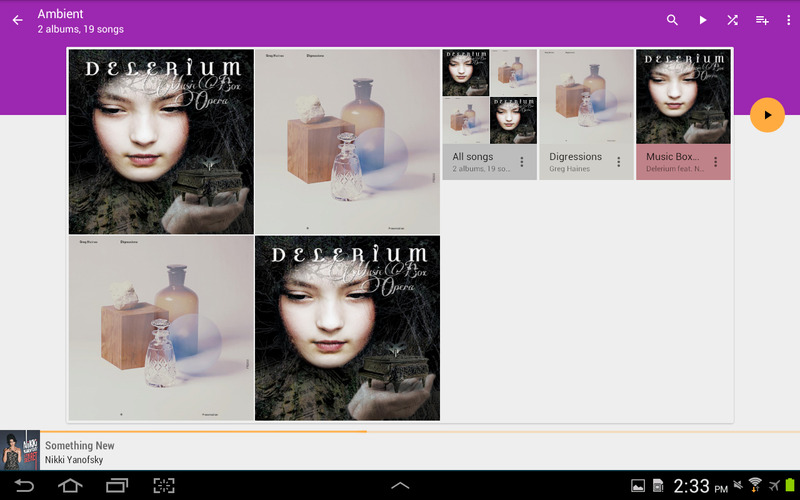 Album artwork, artist thumbnails, and lyrics are downloaded automatically. 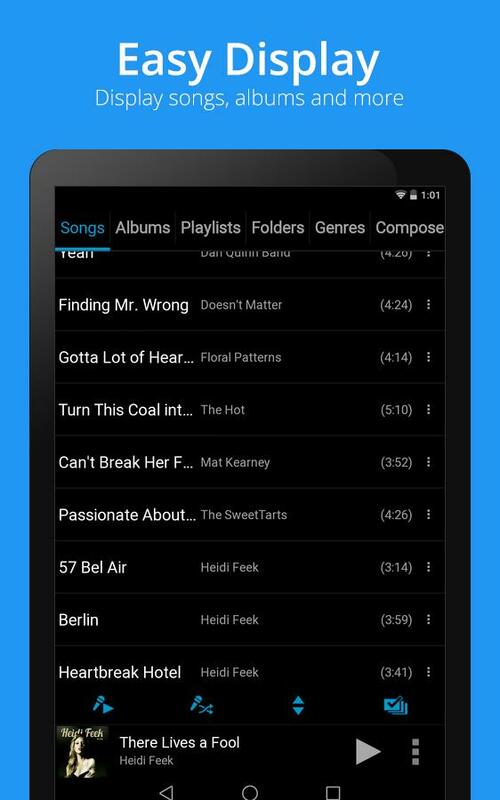 Playlists populate the side menu, with a few preset smart playlists like "Recently added," Most played," and "Favorites." 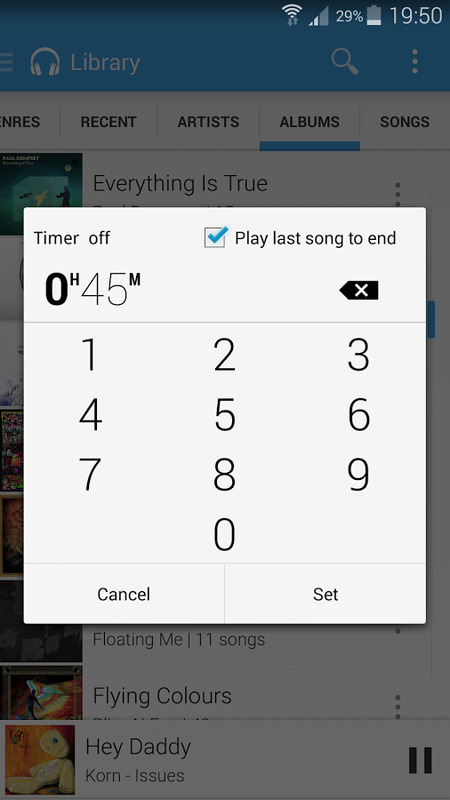 There's a 6-band equalizer, a sleep timer, sharing options, and other expected features of music players. 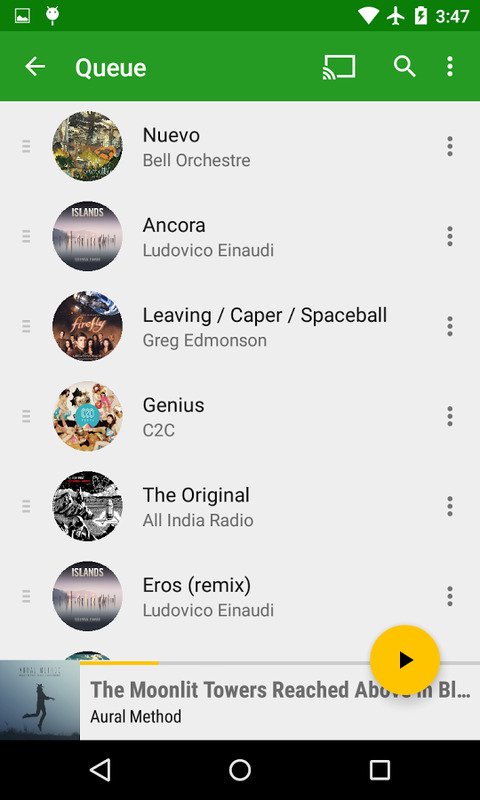 What I like about Shuttle, however, is the ability to multiple select anything, which is convenient when you want to add items to your queue, to a playlist, or delete them. If you're simply going to use the free version of Shuttle, I reckon that you may be better off with Orpheus. However, if you decide to spring for the paid Shuttle+, you will unlock a few possibilities that are worth the investment. Beside the aforementioned Chromecast support, there's ID3 tag editing, more theming options, and folder browsing with the important ability to whitelist or blacklist certain folders. 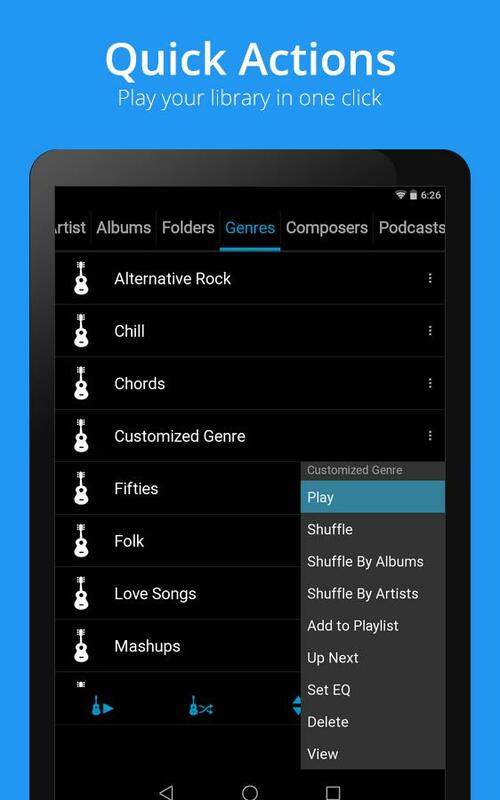 No more random audio files in your music! 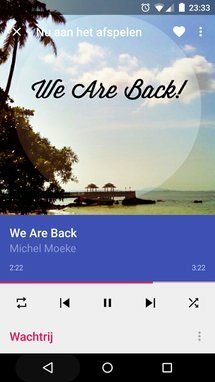 To avoid repeating myself, I won't tell you that NexMusic comes packed with the basic music player features, I'll focus on its unique offerings instead. 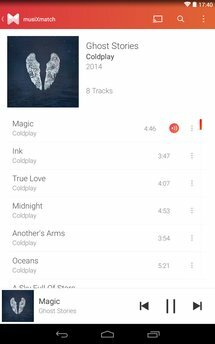 NexMusic is themable, which isn't new by itself, but it can be set to use the most vivid color of an album's artwork for its layout — light blue for The Script's No Sound Without Silence, wine red for OneRepublic's Native, dark teal for Train's California 37, and so on. It's gorgeous. And the Material Design isn't just in the colors and the graphics, it's also there in subtle animations and cool transitions throughout the app. 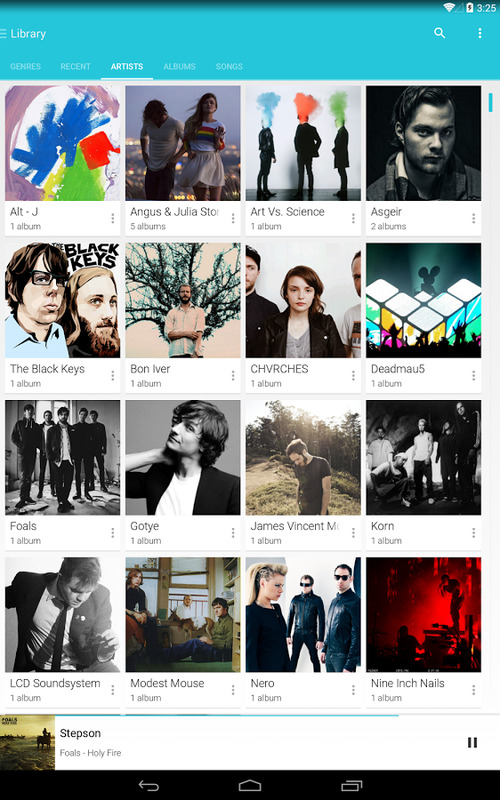 NexMusic is built from the ground up to optimize your music listening experience. 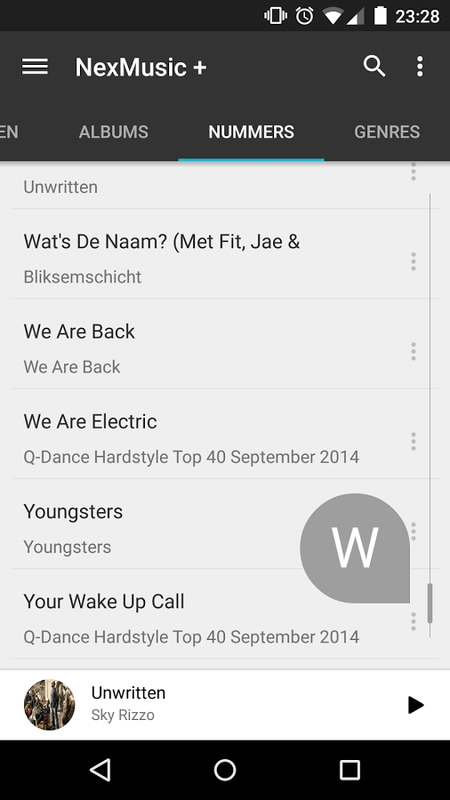 It comes with a Listen Now screen akin to Play Music, mixing suggestions, most played tracks, and recently added ones. 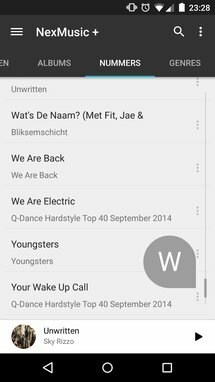 Additionally, the Now Playing screen scrolls up to reveal the queue right below it, providing an easy way to get to the management feature that every music listener wants without having to find a small button or a hidden menu somewhere. And finally, my favorite NexMusic feature is in its side menu. When you're playing a song, you can simply swipe from the left to reveal a few options and two handy shortcuts: "Current artist," and "Current album." 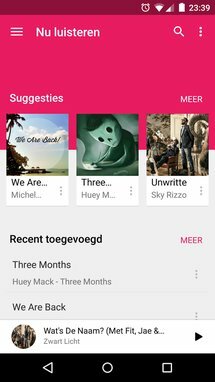 If you shuffle your library as frequently as I do, an easy way to jump to the specific artist or album behind the track you're now enjoying is as essential as the ability to play and pause music. As I explained at the beginning of the post, this isn't a selection of the "best," the "most," or the "musts." It's a collection of music players that are different, in one major or many minor ways, and thus deserve to have the spotlight shone on them. When I set out to write this article, I already had an idea of the kind of apps I was looking for. 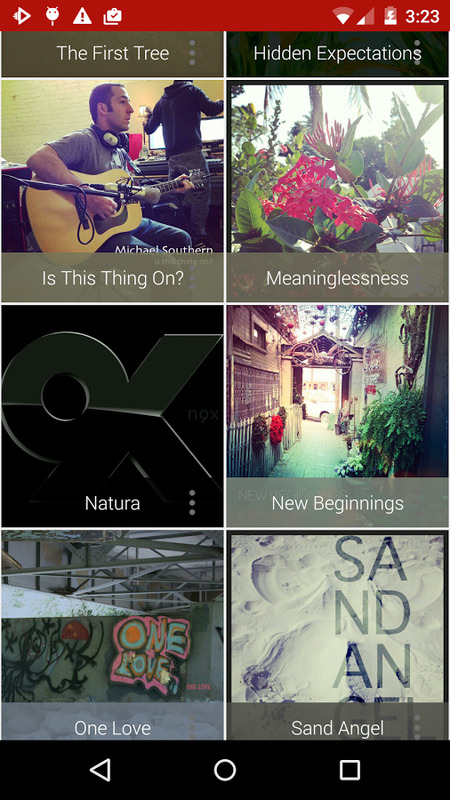 Several Play Store search sessions later, I was pleasantly surprised by Orpheus and NexMusic (which I'd seen before but completely forgotten about) and I found a few more suggestions that I didn't include here, like Pixel Player (always-on queue on the right), Lyrics Mania (decent Musixmatch alternative), and Star Music Player (calendar view to browse tracks according to playback date). 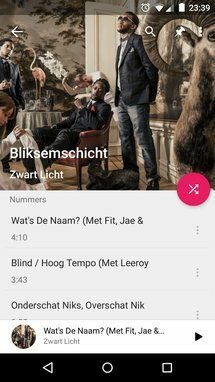 I was, however, very disappointed not to find any music player app that could initiate playback from Android Wear — Stellio seemed to be it but the Wear component was nowhere to be seen on my watch, and Music Boss is just a utility for other music players. 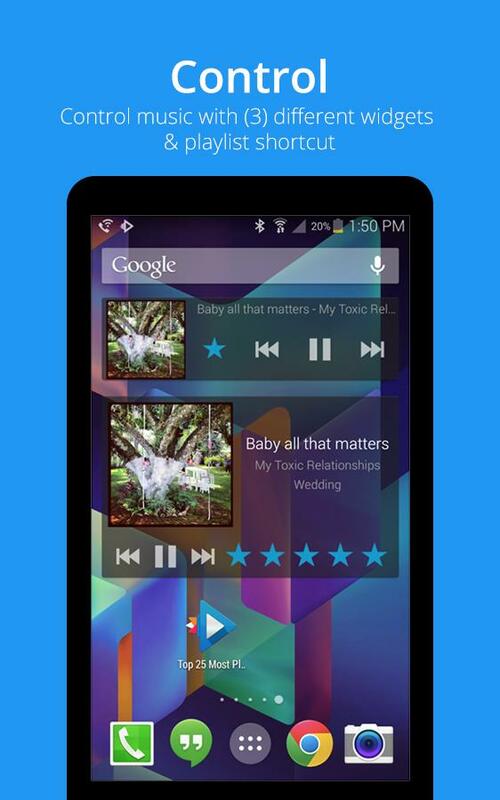 However, I definitely did not have (nor will there ever be) enough time to try all the music players on Android. So that leaves room for more cool and unique features that I missed, and hence for your suggestions. Which underground or forgotten music players with special capabilities do you use or have you come across?